After the Islamic State hostage crisis, Japan wants to beef up its intelligence apparatus. As Japan recovers from the shock of the hostage crisis, lawmakers are beginning to consider how they could have responded to the situation better. One of the key issues being discussed is how to overcome Japan’s reliance on foreign intelligence agencies to gather information abroad, because Japan does not currently have an independent intelligence-gathering entity. A Liberal Democratic Party (LDP) project team is looking into changing that. The team, chaired by House of Representatives lawmaker Takeshi Iwaya, will look at the possibility of creating an independent intelligence-gathering agency like the United States’ Central Intelligence Agency or the United Kingdom’s Secret Intelligence Service. The team will meet with U.S. and British experts and learn about the British model firsthand over the summer. They are scheduled to draft a proposal by this autumn. The thought of creating a new intelligence-gathering organization is in line with Japanese Prime Minster Shinzo Abe’s pledge to develop Japan’s intelligence capabilities. “It is vital to strengthen the government’s intelligence functions and gather more accurate, prompt information that will be reflected in the state’s strategic decision-making,” Abe told the House of Representatives last week. Public opposition has so far prevented the creation of a dedicated intelligence agency, attitudes might be changing in light of the government’s recent failure to rescue two Japanese hostages from Islamic State. The weakness of the current structure was vividly highlighted by Japan’s reliance on the CIA, Turkish intelligence, and Jordanian intelligence during the crisis. 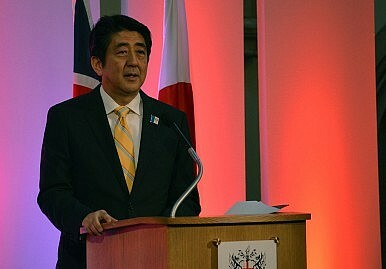 As it stands now, a senior NPA official said, “Japan has no choice but to depend on foreign countries’ information. If a terrorist attack was plotted in Japan, the current state of preparedness could not prevent it from occurring.” A more serious failure of the Japanese intelligence community was the revelation in spring 2004 that a senior member of an Al Qaeda-related organization had been hiding in Japan from September 1999 to September 2003 without being marked by the Japanese authorities. What Did Japan Learn in South Sudan? The significance of the Japan Self-Defense Force deployment to the UN peacekeeping mission in South Sudan.